The Regency in Great Britain was a period when King George III was deemed unfit to rule and his son ruled as his proxy as Prince Regent. On the death of George III in 1820, the Prince Regent became George IV. The term Regency (or Regency era) can refer to various stretches of time; some are longer period than the decade of the formal Regency which lasted from 1811–1820. The period 1795 to 1837, which includes the latter part of the reign of George III and the reigns of his sons George IV and William IV, is often attributed as the Regency era characterised by distinctive trends in British architecture, literature, fashions, politics, and culture. 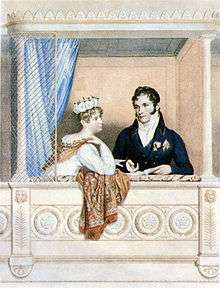 The Regency era ended in 1837 when Queen Victoria succeeded William IV. The Regency is noted for its elegance and achievements in the fine arts and architecture. This era encompassed a time of great social, political, and economic change. War was waged with Napoleon and on other fronts, affecting commerce both at home and internationally as well as politics. Despite the bloodshed and warfare the Regency was also a period of great refinement and cultural achievement, shaping and altering the societal structure of Britain as a whole. One of the greatest patrons of the arts and architecture was the Prince Regent himself (the future George IV). Upper class society flourished in a sort of mini-Renaissance of culture and refinement. As one of the greatest patrons of the arts, the Prince Regent ordered the costly building and refurbishing of the beautiful and exotic Brighton Pavilion, the ornate Carlton House, as well as many other public works and architecture (See John Nash, James Burton, and Decimus Burton). Naturally, this required dipping into the treasury and the Regent, and later, King's exuberance often outstripped his pocket, at the people's expense. 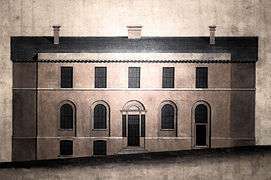 The squalor that existed beneath the glamour and gloss of Regency society provided sharp contrast to the Prince Regent's social circle. Poverty was addressed only marginally. The formation of the Regency after the retirement of George III saw the end of a more pious and reserved society, and gave birth of a more frivolous, ostentatious one. This change was influenced by the Regent himself, who was kept entirely removed from the machinations of politics and military exploits. This did nothing to channel his energies in a more positive direction, thereby leaving him with the pursuit of pleasure as his only outlet, as well as his sole form of rebellion against what he saw as disapproval and censure in the form of his father. Driving these changes was not only money and rebellious pampered youth, but also significant technological advancements. In 1814 The Times adopted steam printing. By this method it could now print 1,100 sheets every hour, not 200 as before—a fivefold increase in production capability and demand. This development brought about the rise of the wildly popular fashionable novels in which publishers spread the stories, rumours, and flaunting of the rich and aristocratic, not so secretly hinting at the specific identity of these individuals. The gap in the hierarchy of society was so great that those of the upper classes could be viewed by those below as wondrous and fantastical fiction, something entirely out of reach yet tangibly there. George Augustus Frederick, Prince of Wales began his nine-year tenure as regent and became known as The Prince Regent. This sub-period of the Georgian era began the formal Regency. 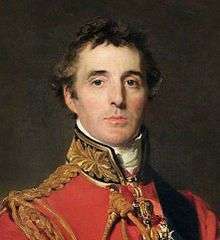 The Duke of Wellington held off the French at Fuentes d'Onoro and Albuhera in the Peninsular War. The Prince Regent held a fete at 9:00 p.m. June 19, 1811, at Carlton House in celebration of his assumption of the Regency. Luddite uprisings. Glasgow weavers riot. 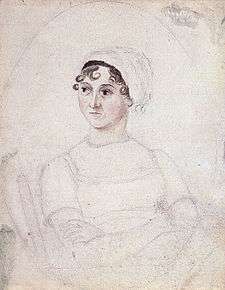 Pride and Prejudice by Jane Austen was published. William Hedley's Puffing Billy, an early steam locomotive, ran on smooth rails. Quaker prison reformer Elizabeth Fry started her ministry at Newgate Prison. Robert Southey became Poet Laureate. Invasion of France by allies led to the Treaty of Paris, ended one of the Napoleonic Wars. Napoleon abdicated and was exiled to Elba. The Duke of Wellington was honored at Burlington House in London. British soldiers burn the White House. 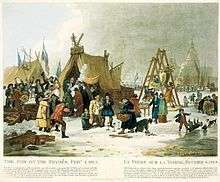 Last River Thames Frost Fair was held, which was the last time the river froze. Gas lighting introduced in London streets. Napoleon I of France defeated by the Seventh Coalition at the Battle of Waterloo. Napoleon was exiled to St. Helena. The English Corn Laws restricted corn imports. Sir Humphry Davy patented the miners' safety lamp. John Loudon Macadam's road construction method adopted. Income tax abolished. A "year without a summer" followed a volcanic eruption in Indonesia. Mary Shelley wrote Frankenstein. William Cobbett published his newspaper as a pamphlet. The British returned Indonesia to the Dutch. 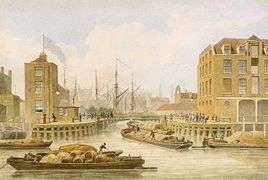 Regent's Canal, London, phase one of construction. 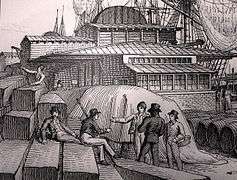 Beau Brummell escaped his creditors by fleeing to France. 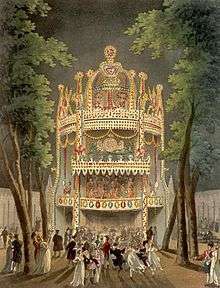 Antonin Carême created a spectacular feast for the Prince Regent at the Royal Pavilion in Brighton. The death of Princess Charlotte from complications of childbirth changed obstetrical practices. Elgin Marbles shown at the British Museum. Captain Bligh died. Queen Charlotte died at Kew. Manchester cotton spinners went on strike. Riot in Stanhope between lead miners and the Bishop of Durham's men over Weardale gaming rights. Piccadilly Circus constructed in London. 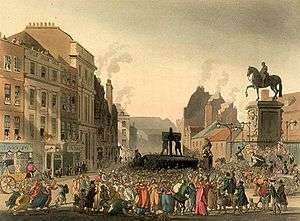 Peterloo Massacre. Princess Alexandrina Victoria (future Queen Victoria) was christened in Kensington Palace. Ivanhoe by Walter Scott was published. Sir Stamford Raffles, a British administrator, founded Singapore. First steam-propelled vessel (the SS Savannah) crossed the Atlantic and arrived in Liverpool from Savannah, Georgia. Death of George III. Accession of The Prince Regent as George IV. The House of Lords passed a bill to grant George IV a divorce from Queen Caroline, but because of public pressure the bill was dropped. John Constable began work on The Hay Wain. Cato Street Conspiracy failed. Royal Astronomical Society founded. Venus de Milo discovered. 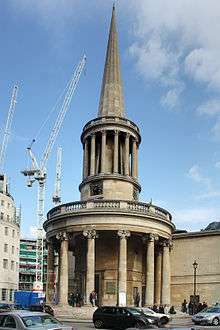 The third series of the BBC comedy series Blackadder is set in the Regency Period. Carlton House, Pall Mall London. ↑ Morgan, Marjorie. Manners, Morals, and Class in England, 1774–1859. New York: St. Martin's P, 1994. 34. ↑ "George IV (r. 1820–1830)". The Royal Household. Retrieved 12 April 2015. ↑ Nelson, Alfred L.; Cross, Gilbert B. "The Adelphi Theatre, 1806–1900". Archived from the original on 8 June 2007. ↑ "Attingham Park: History". National Trust. Retrieved 12 April 2015. ↑ "Circulating Libraries, 1801–1825". Library History Database. Archived from the original on 14 April 2008. Retrieved 12 April 2015. ↑ "Jane Austen: Sports". Jane's Bureau of Information. Archived from the original on 13 September 2008. Retrieved 12 April 2015. 1 2 "Jane Austen: Places". Jane's Bureau of Information. Archived from the original on 8 May 2008. Retrieved 12 April 2015. 1 2 "Jane Austen: Gardens". Jane's Bureau of Information. Archived from the original on 13 May 2008. Retrieved 12 April 2015. 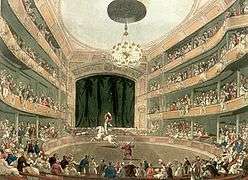 1 2 "Jane Austen: Theatre". Jane's Bureau of Information. Archived from the original on 13 May 2008. Retrieved 12 April 2015. ↑ "British Journalists 1750–1820". Spartacus Educational. Retrieved 12 April 2015. ↑ "Newspapers and publishers at dawn of 19th century". Georgian Index. Retrieved 12 April 2015. ↑ "An Introduction to the British Regency Period". PeriodDramas.com. Retrieved 12 April 2015. Bowman, Peter James. 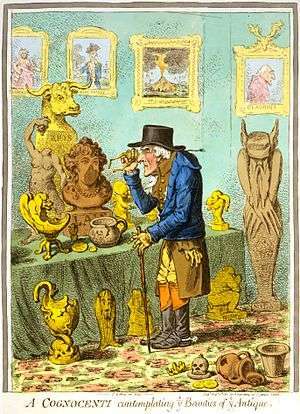 The Fortune Hunter: A German Prince in Regency England. Oxford: Signal Books, 2010. David, Saul. Prince of Pleasure The Prince of Wales and the Making of the Regency. New York: Atlantic Monthly Press, 1998. Lapp, Robert Keith. Contest for Cultural Authority – Hazelitt, Coleridge, and the Distresses of the Regecy. Detroit: Wayne State UP, 1999. Low, Donald A. The Regency Underworld. Gloucestershire: Sutton, 1999. Morgan, Marjorie. Manners, Morals, and Class in England, 1774–1859. New York: St. Martin's P, 1994. Parissien, Steven. George IV Inspiration of the Regency. New York: St. Martin's P, 2001. Pilcher, Donald. The Regency Style: 1800–1830 (London: Batsford, 1947). Rendell, Jane. 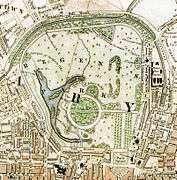 The pursuit of pleasure: gender, space & architecture in Regency London (Bloomsbury, 2002). Smith, E. A. George IV. New Haven and London: Yale UP, 1999. Wellesley, Lord Gerald. "Regency Furniture," The Burlington Magazine for Connoisseurs 70, no. 410 (1973): 233–41. White, R.J. Life in Regency England (Batsford, 1963).